NOTE: The removable side cleaning station in the photo is sold separately and not included with this cleaning table. See related items for info. This U.V. stabilized, high density polyethylene bait preparation and fish cleaning station will not fade, chip, crack, peal, or hold fish odors. It is strong and includes a Table, plus 1-1/2Tubular Stainless Steel Base for rock-solid mounting to the dock and stainless steel Round Rail Mounts, which allow it to be tilted to the best drainage angle or to be stored in a flat position against the base when not in use. 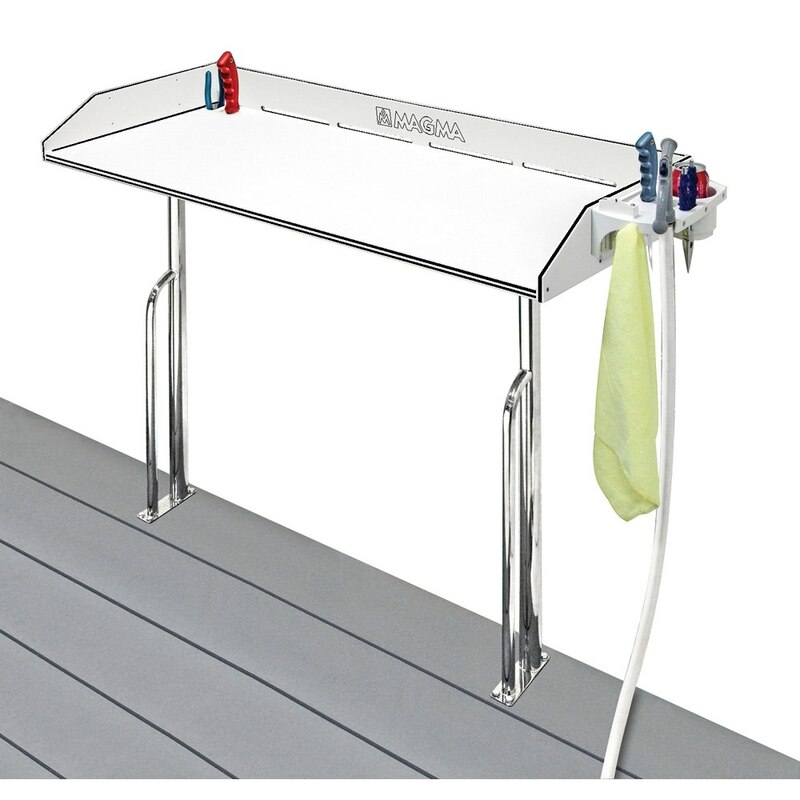 Cleaning station includes 4-1/2 sides and backs with ample overboard drainage slots to keep your boat spotless; slots for pliers and filet knife storage. 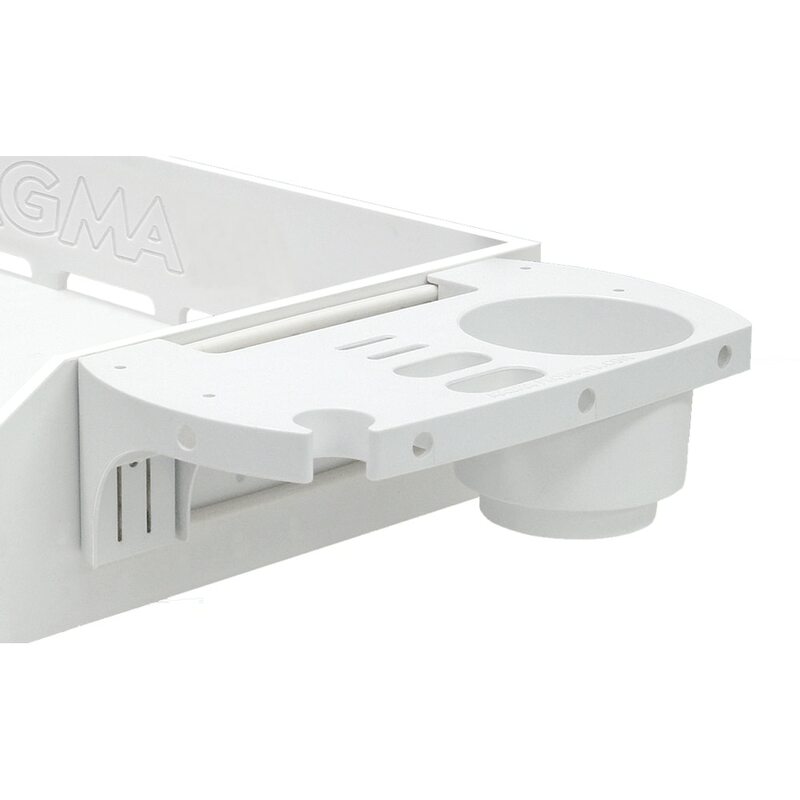 Manufacturer Magma Products, Inc., Lakewood, California, U.S.A.